MK Mickey Levy says returning terrorists' bodies encourages terror attacks, calls on government to change policy. 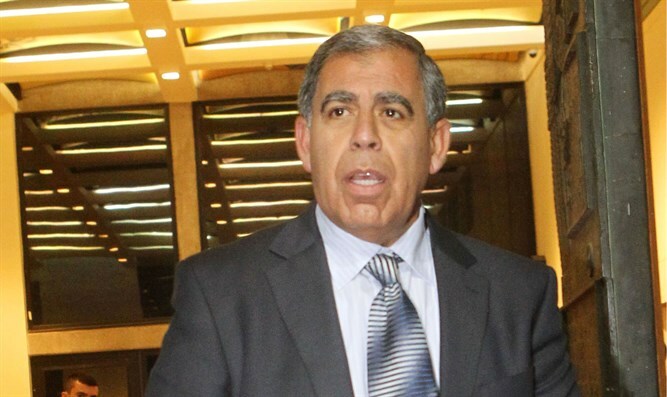 Former head of Israel Police's Jerusalem District and MK Mickey Levy (Yesh Atid) criticized on Monday morning the Israeli government's policy regarding the return of terrorists' bodies and the way terror attacks are handled. In an interview with Channel 2, Levy said the policy of returning terrorists' bodies to their families encourages additional terror attacks. He noted that Sunday's ramming attack came just after the Israeli government returned two terrorists' bodies to their families on Friday. At the funerals, Arabs celebrated the bodies' return and flew various terror group flags, including those of Hamas and the PLO. Levy said terrorists' families go to the bank immediately after the terror attack is over, and receive thousands of NIS from the PA. To counter the families' feelings of comfort and wealth immediately after terror attacks are carried out, Levy said the families should be expelled to Gaza "if they have relatives there." On Sunday, the Security Cabinet decided, among other things, to arrest any person identifying with ISIS, as well as to prevent any possible reunification between members of terrorists' families within the pre-1967 borders with those family members who live in Judea, Samaria, and Gaza.